Obituary – Queen, Agatha Grace (Durbin) « Perry High School Alumni Association, Inc.
– Following graduation this spring from Perry high school, Agatha Grace Durbin hopes either to attend a school for nurses’ graining or take a job in Perry. She is the daughter of Mr. and Mrs. George C. Durbin of 829 Jackson street and has lived here for the past nine years. Before moving to this city Agatha had attended Henryetta grade schools. She serves as secretary of her homeroom class this year. Other groups of which she is a member are Red Hots, national honor society, and the cast of her junior class play. As a freshman, she was a student council member. 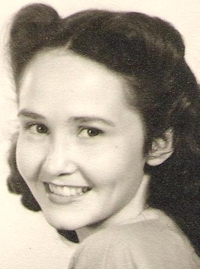 Agatha Grace Queen, age 89, was born on June 26, 1924 in Henryetta, Oklahoma to her parents George and Ida Durbin. Agatha was the 3rd child born of 6 children. She has been a resident of three cities: Perry, Tulsa, and Broken Arrow all of Oklahoma. Agatha married Hugh Queen on August 15, 1943; they were married for 43 years. Her favorite hobbies were to read, cook, and work in her garden. 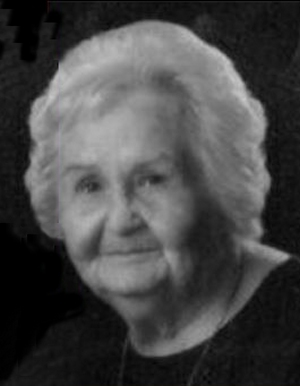 Agatha was preceded in death by her husband, Hugh, four sisters, Dorthy Johnson, Georgia Mae Mauney, Mary Lou Rupp, and Patricia Faw Faw, and one grandchild, Jeri Ann Bollinger. Graveside services to be held out at Grace Hill Cemetery in Perry, Oklahoma on Friday, November 8, 2013, at 11:00 am.